SpaceX has successfully landed its Falcon 9 rocket on solid ground but Elon Musk and his team are still looking forward to make landing at sea. The upcoming event for launching the SES-9 communications satellite into orbit initiates at 6:46 pm ET. SpaceX will make it for the fourth time to land its Falcon 9 on a drone ship in the ocean after sending the payload into orbit. SpaceX isn't giving hype to tonight's landing attempt due to the exceptional orbit profile of the SES-9 satellite, though the company is still moving forward with plans to make landing on its drone ship, named as "Of Course I Still Love You," which is set away from the coast of Florida. If it works as it is planned, it will set off the Earth’s atmosphere and its first stage will detach from its payload. Cold gas thrusters will help the rocket to complete a flip maneuver that will bring it back toward Earth. A series of engine burns will keep the rocket in control when it comes near to Earth, while grid fins will give it aerodynamic assistance. Engines will burn for once before the landing of rocket on the drone ship. 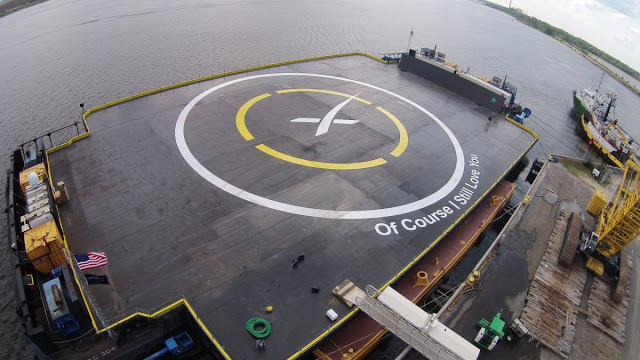 Elon Musk told that, the SpaceX endeavored to make a landing on a drone ship last month, these landings are required when it is not possible to return to launch site. The drone ship landings are particularly required for high velocity missions, which would allow payloads to attain a higher orbit.